The forest floor is a layer of flat, matted leaves; it has none of the thick, plush quality of the fall. 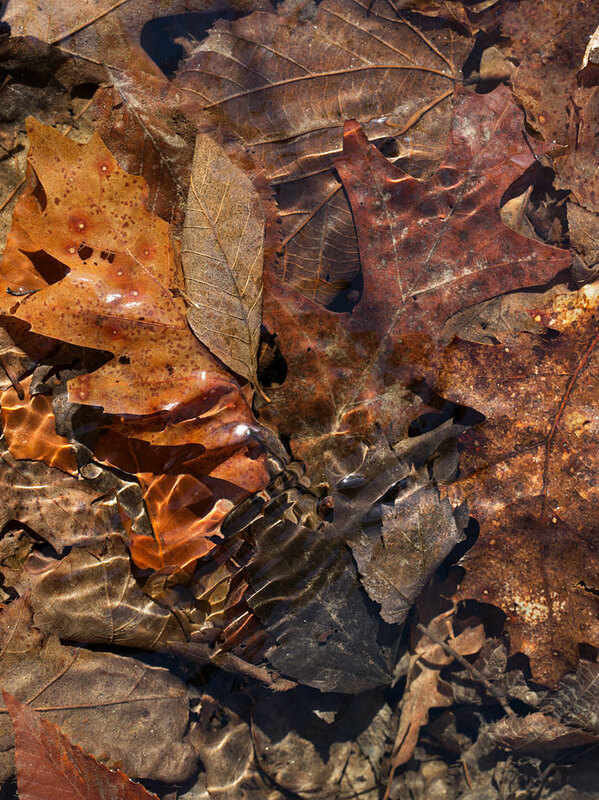 With the melting snow and spring rains, vernal pools and streams cover a large area of our understory. The water is clear as glass. Once the foliage returns, the pools and streams are soaked up by the trees. Click on the image for a larger view.